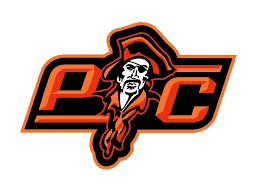 The Platte County Booster Club is a group of parents, coaches, school administrators and community members whose mission is to enrich the Platte County High School by providing financial support for Platte County High School athletics and activities. Our Booster Club is 501C3 compliant (tax exempt status) and is most appreciative of any and all financial donations! We are dedicated to the continued support of our students. In addition to financial support, the Platte County Booster Club recognizes that participation in high school athletics and activities benefits everyone and promotes opportunities to build and strengthen relationships among all involved: the student body, coaching and teaching staff, parents, and the community. These programs are an extension of the classroom and teaches lifelong lessons!